Bruins goalie Tuukka Rask played pesapallo as a child in Finland. OK, quick, Finland’s national sport is . . . ? The logical guess, based on what most Americans see of Finnish athletes in the US, would be hockey. The NHL is loaded with Finns, many of them very talented. 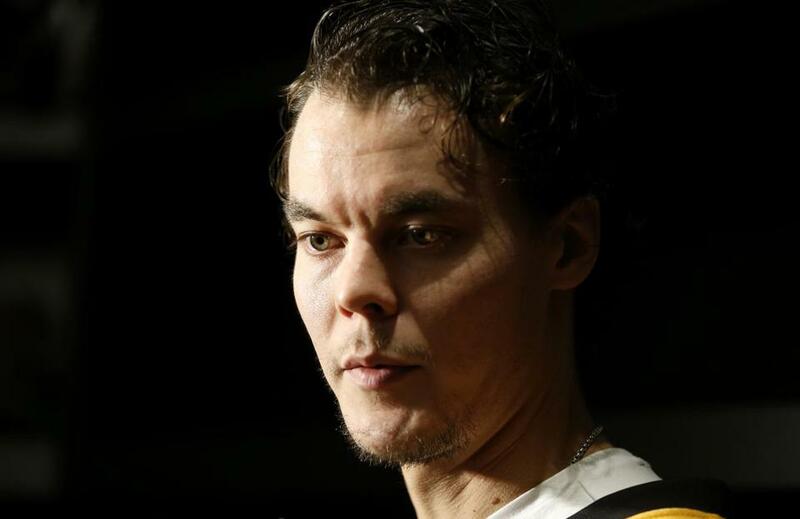 Tuukka Rask, proud son of Savonlinna, is the Bruins’ franchise netminder. Soccer, or football as most of the world knows it, also would be a logical choice. Soccer is always the best default guess in the name-a-country’s-national-sport trivia contest. Even the tiny state of Vatican City, tucked away in Rome, has a soccer team, about the closest the Vatican gets to a national sport. Finland’s national sport is actually pesapallo, the Scandinavian country’s version of baseball. Rask began playing it in his early grade-school years, true of most Finnish boys and girls, he said. And like so many US kids with baseball in recent decades, he soon opted for other sports with more action, namely soccer and hockey. For the record, Rask is a big soccer fan of Barcelona (“the team always close to my heart’’) and Liverpool. Pesapallo, its origins dating to Babe Ruth’s heyday, the 1920s, doesn’t suffer from a lack of action. Quite the contrary, according to Rask. The ball is far easier to hit, mainly because the pitcher stands barely more than an arm’s length from the batter, and tosses the ball up in the air, a minimum 3 feet above the pitcher’s head. The batter waits for the ball to drop toward home base (a circle, 24 inches in diameter) and unloads on it. Not unlike golf, the more accomplished hitters are able to put spin on the ball, bedeviling the defense (total: nine players, all with gloves) and often adding to the run total. There are no outfield walls. As a consequence, well-struck balls can roll a very long way. It’s a lot like Little League games here, with tiny outfielders disappearing from sight as they sprint after balls that just keep on rolling. “The fields are all open, like a park,’’ Rask explained. “You can just hit the ball right through a gas station, and the guys will run after it to grab it. Honestly. I’ve been to Finland, but never to see pesapallo. During the NHL’s 1994-95 lockout, Bruins forward Ted Donato played for TuTo, a Finnish team in Turku, and I went over to chronicle TuTo’s big match against crosstown rival TPS. The star for TPS was Saku Koivu, who joined the Canadiens the next season and went on to become the Habs’ captain. Nice trip, though the game was a dud. The diminutive Donato and Koivu quickly squared off in a schoolyard fight that had them both rolling around on the ice like a couple of Napoleons. Both of them got tossed for game misconducts. My postgame interview with Donato was over dinner at a nearby hotel. He was in good humor by then, told funny stories about his overall experience, and I dined on some sort of reindeer stew served over rice. To piece it together, based on Rask’s description and various online accounts, that national sport of Finland looks like someone took our game and tossed it into a Veg-o-Matic. There is a home plate and three bases. Fine. But after hitting the ball, the runner dashes in the direction of what would be our game’s third base. Once reaching first, the runner then heads at a hard right angle to second (location: our first base) and then cuts right-left across the field on a straight line. Among the game’s more significant twists: If the batter hits the ball and makes it all the way to third, that is considered a home run. He then can remain on third in hopes of being driven home to add another run. So a triple can be worth two runs. Given that home runs are far more common than triples, it makes sense. Sort of. At least in Finland, where they eat reindeer. The outfielders, who run to hither, yon, and gas station, build up tremendous arm strength. So much so, Rask said, a Yankees scout was seen in Finland last year bird-dogging some of the better pesapallo outfielders. In Boston, our national pastime came to an end Monday night when the Sox lost their third straight to Cleveland. Here in the Hub, it’s that time of year to wait till next year again. Rest easy, New England, because somewhere in Finland the Yanks may have tracked down an angel in the outfield.